Most Medicare drug plans have a coverage gap, often referred to as a “donut hole”, which means there is a temporary limit on what the drug plan will cover. Not everyone will enter the donut hole, but many will. This happens once you’ve spent $3,820 on covered drugs. Once you’ve hit the coverage gap, you’ll pay up to 25% of the plan’s cost for covered brand-name prescription drugs if you purchase them at a pharmacy or through the mail. If you have a Medicare plan that includes coverage in the gap, you may get a discount after your plan’s coverage has been applied to the drug’s price. Alternatively, once you’ve hit the donut hole, you’ll be responsible for paying 37% of the price for a generic drug. In 2019, Part D beneficiaries who have high prescription drug prices will get some relief. The donut hole has been closing since the Affordable Care Act was passed in 2010 and was scheduled to close in 2020. Due to federal legislation, in 2019 Medicare customers will be required to pay 25% of the cost of all their brand name prescriptions while in the gap. This was made possible by requiring pharmaceutical manufacturers to pay more of the costs for enrollees who are in the coverage gap. What does this change look like? If a drug’s total cost is $100 and you pay your plan’s $20 copay during the initial coverage period, you will be responsible for paying $25 (25% of $100) during the coverage gap. The donut hole will close for generic drugs in 2020, and then you will be responsible for 25% of the cost of your generic drug all year long, the copay will no longer be in effect. People who get Medicare Extra Help could pay only a small amount, or even pay nothing if they reach what is called “catastrophic coverage.” Catastrophic coverage occurs when your out-of-pocket costs reach $5,100 in one single year. Out-of-pocket costs that would make you hit catastrophic coverage are your deductible, what you paid during your initial coverage period, the full cost of brand name drugs purchased during the coverage gap, amounts paid by others on your behalf and amounts paid by State Pharmaceutical Assistance Programs, AIDS Drug Assistance Programs, and the Indian Health Service. If you qualify for this, it could save you a significant amount of money. You could pay no more than $3.40 for generic drugs, or $8.50 for brand name drugs. For those who are unfamiliar, Medicare is a federal health insurance program for people who are 65 and over, those who have disabilities, or people with end-stage renal disease. There are several different parts of Medicare, which cover specific services. Medicare Part A, which is hospital insurance, covers inpatient hospital stays, nursing facility care, and hospice care. Medicare Part B, which is medical insurance, covers specific services by doctors, outpatient care, preventative services, and medical supplies. Medicare Part D, which is prescription drug coverage, adds drug coverage to Medicare, select Medicare cost plans, select Medicare private-fee-for-service plans, and Medicare medical savings account plans. 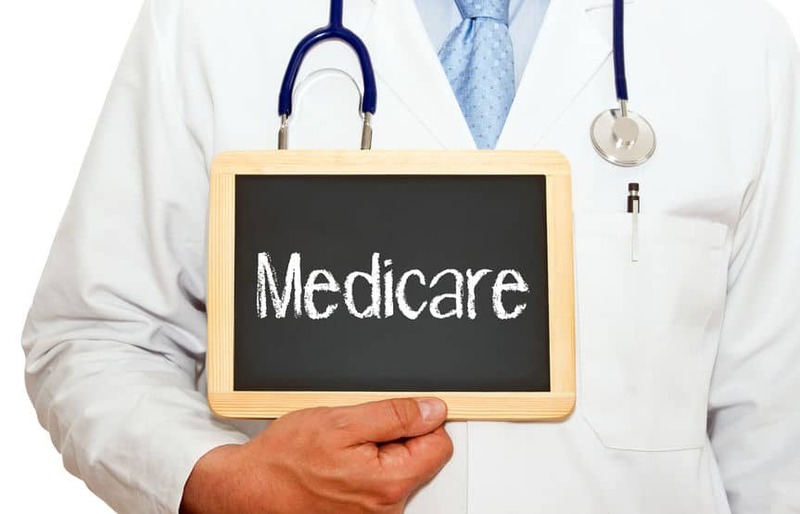 Medicare Part C, also known as Medicare Advantage, is an “all in one” bundled plan which includes Part A, Part B and Part D. Each of these options are offered by insurance companies who have been approved by Medicare. There are a number of factors with Medicare that could affect your out-of-pocket costs, including whether you have Part A or Part B, whether your doctor accepts assignment, the type of health care you need and how often you need it, whether your other health insurance works with Medicare, and whether you have Medicaid, among others. It is important to do extensive research on your particular coverage so that you are aware of what your out-of-pocket costs might be. This is particularly important with your out-of-pocket drug costs so that you are able to stay on track of whether you are going to hit the “donut hole” coverage gap. It is just as important to keep in mind what services are not covered by Medicare Part A or Part B. Some of the services Medicare does not cover include dental care, long-term care, cosmetic surgery, dentures, acupuncture, hearing aids, foot care or eye exams. For those who have a limited income, the Extra Help program provides financial aid to those with Medicare Part D. There are specific qualifying factors, such as limited income and assets, and can vary by state. Income-based assistance programs are available in many states and can help you pay for prescription drugs once you are in the donut hole. There is also the pharmaceutical company prescription assistance program, which you may qualify for, according to company-specific criteria. The best solution to the “donut hole” concern is Prescription Hope. Prescription Hope offers over 1,500 brand-name medications through patient assistance programs all for the set service fee of $50 per month for each medication, which covers 100% of the medication cost, regardless of the retail price. Prescription Hope’s mission is to provide unmatched medication savings to Americans from all walks of life. Prescription Hope was founded in 2006 and is a nationally recognized prescription medication access program. It is not a prescription discount card or an insurance plan. Prescription Hope works with over 180 US-based pharmaceutical manufacturers patient assistance programs to access over 1,500 FDA-approved medications, including the top-100 prescribed brand name medication in the US. We work with thousands of Americans every month, as well as social workers, insurance companies, state and local agencies, care providers and health care systems. Visit the enrollment page to create your account and start saving! Why do you need my SS#? Your personal information is required by the pharmaceutical companies to process your medication orders. Rest assured, we keep all your personal information 100% safe and secure.